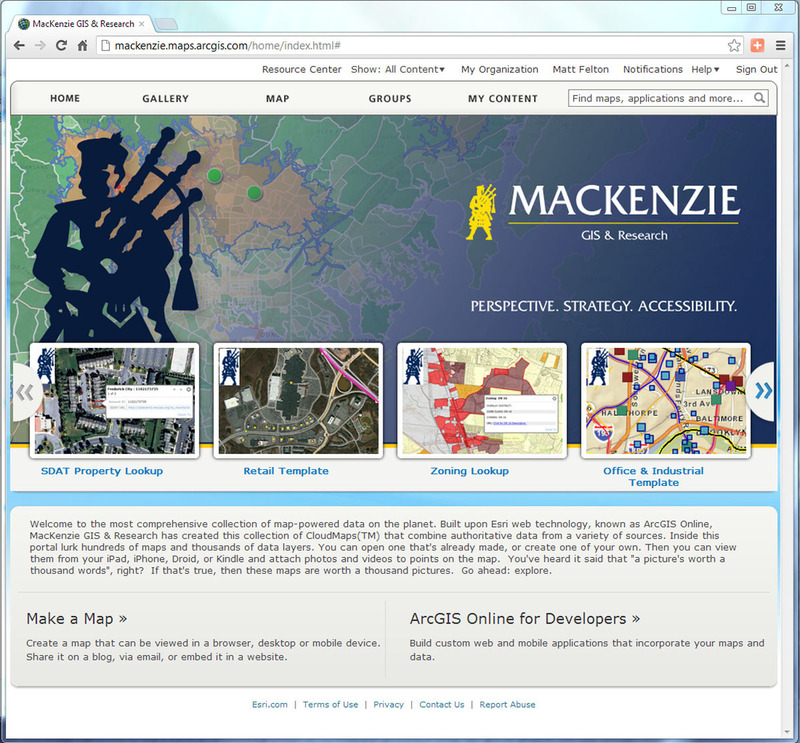 ArcGIS Online has opened up new lines of business at MacKenzie. Redlands, CaliforniaMacKenzie Commercial Real Estate Services, one of the largest commercial real estate firms in the greater Baltimore, Maryland, metropolitan area, is expanding its service model with the help of Esri's ArcGIS Online. Using the cloud-based solution, MacKenzie is able to provide its clients with a new generation of strategic decision-making tools and information services. The new opportunities ArcGIS Online has opened up have prompted MacKenzie to become an Esri partner so it can offer its web-based solutions to a broader range of customers. ArcGIS Online allows MacKenzie to organize retail partner information based on need and ensure that it can be accessed from anywhere on any device. "I think about the world I was in just 10 years ago—me having to build applications and run analyses for people—and now the technical and operational barriers have been lifted," said Matt Felton, managing director of MacKenzie's GIS & Research group. MacKenzie's team has created dashboards, known as MapDash, that provide C-level decision makers (CEO, COO, CFO) with a map-based portal for accessing both business data and market intelligence. One of these dashboards, MapDash for Leases, allows owners of multisite businesses to quickly access information about a particular asset. This dashboard makes access to even the largest portfolio intuitive, quick, and easy. Since MacKenzie removed the complexity and hassle of managing books of property information, brokers can now focus on delivering superior client advice services and ensuring that portfolios perform at their highest and best level. 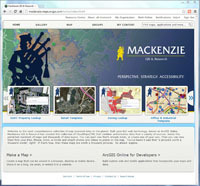 MacKenzie's success in applying GIS to business strategy has prompted the MacKenzie Companies to create a new business venture, which will be officially launched in January 2013. It will extend MacKenzie's GIS capabilities beyond Maryland and into new disciplines such as banking and health care. "We are pleased to see MacKenzie translate its own business advantage into new opportunity for its clients. ArcGIS Online and the iPad application are moving the discussion from the back office to the field, the very place where you need to make decisions based on a complete, factual understanding of site operations and opportunities," said Simon Thompson, director, commercial solutions, Esri. "As a result, MacKenzie's customers benefit from an accelerated ability to respond to changing consumer behavior and market conditions, which will help them be more successful. This is good for everyone." To learn more about MacKenzie's offerings, visit www.SayItWithAMap.com. To find out how Esri solutions can help your business, visit esri.com/business.